We installed custom painted 12" aluminum column planters as well as a pipe handrail/guardrail to divide the sidewalk and patio. The previous landscaping was renovated into an outdoor patio. 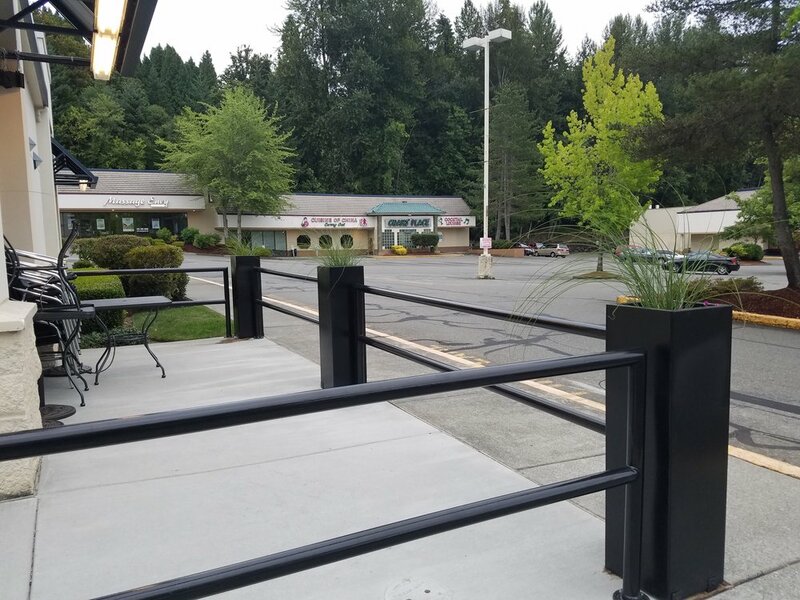 We installed custom painted 12" aluminum column planters as well as a pipe handrail/guardrail to divide the sidewalk and patio.